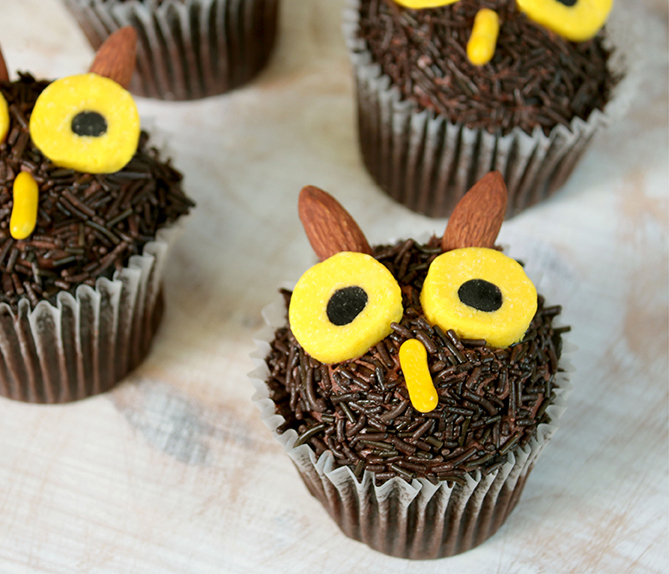 To make owl faces on the cupcakes, dip top of cupcakes in sprinkles to coat thoroughly. Place allsorts for the owl's eyes, licorice pieces for the beak and almonds for the ears. Use round white mints with a brown mini M&M in the center for the eyes.